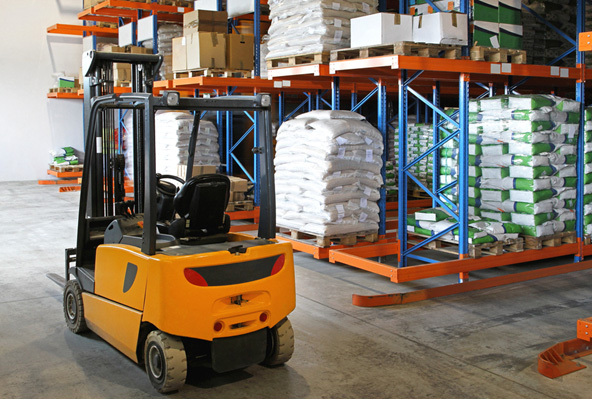 Warehouses and distribution centers are used as massive storage spaces for holding and shipping goods; with so many different types of materials stored in them, there’s a variety of storage systems for all to be properly contained. Below, we explore some of the most prevalent storage systems used in today’s warehouses and delve into what makes them unique compared to the next one. 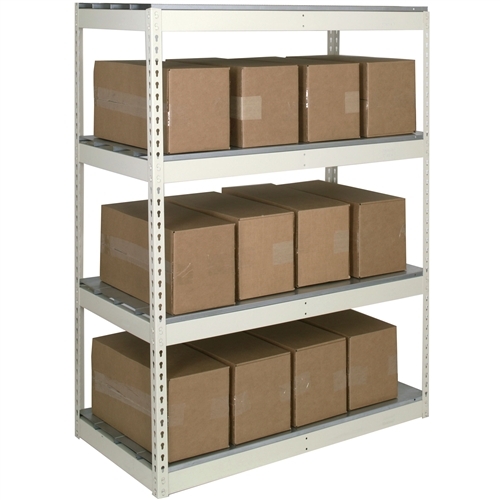 Pallet racks are a widely-used storage system universally found in warehouses and distribution centers. Used in tandem with forklifts to transport materials around the warehouse, pallet racks are key space savers in the way they utilizevertical space. Moreover, pallet racks are known for their sturdiness and ease of convenience for stocking and removing loads. Another major perk is their ability to retrieve products from the front and back end of the pallet rack, which makes it a highly handy and efficient storage system. 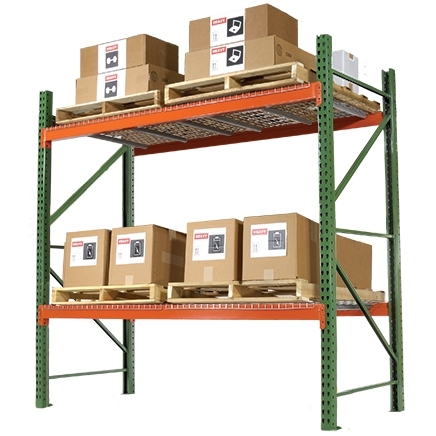 As opposed to standard pallet racks, cantilever racks stand out in their ability to store large, heavy loads (they’re just as useful for storing lightweight materials, too) and lack of a front load column. Common goods stored with cantilever racks include lumber, piping materials, and anything long or narrow in shape. With cantilever racks, loading is faster and requires less toil due to having no columns obstructing access. A prime example of this is the 10’h Heavy Duty Cantilever Rack with 12” Arms, which, due to the strength of the arms and expert design, is able to carry massive loads while also being less prone to experiencing load deflection. Though not nearly as large as cantilever or pallet racks, rivet shelving is another widespread utility for the warehouse. Thanks to its compact, grounded composition, rivet shelves – like record storage shelving – are great for stocking important files and documents, and are used by both business offices and warehouses alike. 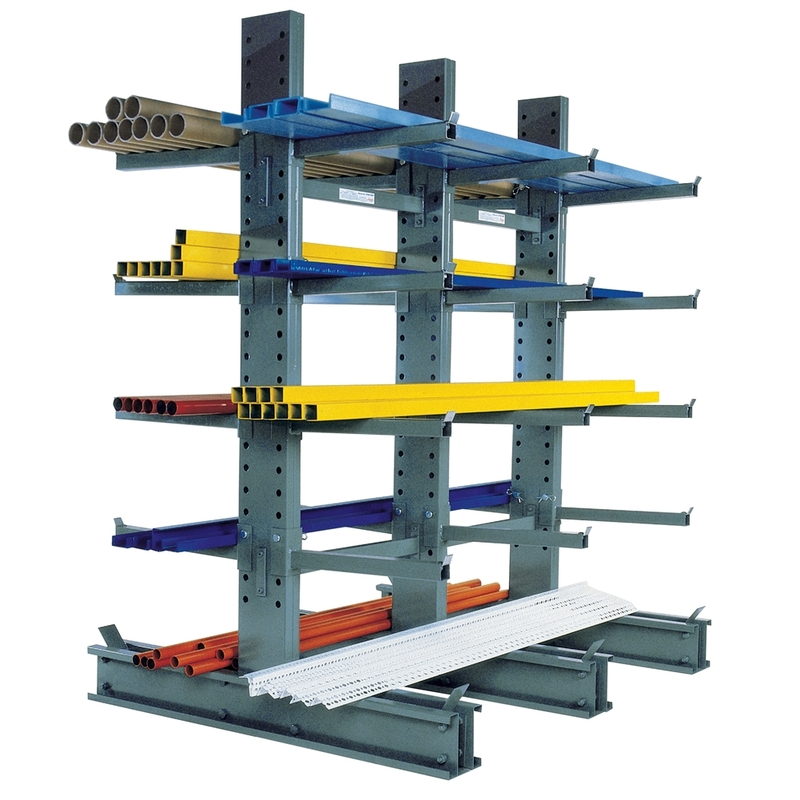 Steel clip shelving is renowned for its robust structural integrity and ability to be used in a range of professional environments. Steel shelving is constructed entirely from steel, so it’s reliably firm and able to accommodate an eclectic variety of goods. Choose from either closed or open styles depending on the degree you prefer to protect and secure your goods. 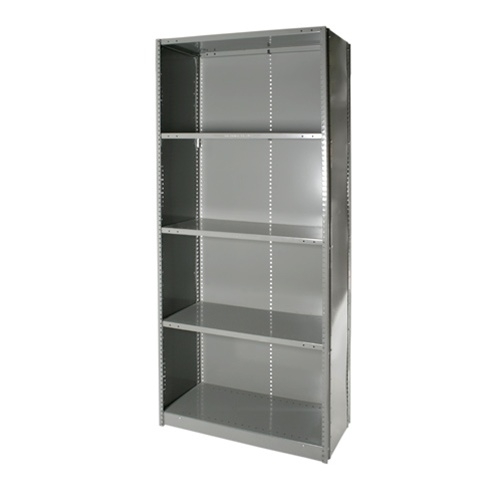 Closed steel shelving, for example, is designed with backing and siding to provide a snugger fit while the open style does not. For goods that are less prone to damage or lower in cost, open-style steel shelving is a more suitable alternative.